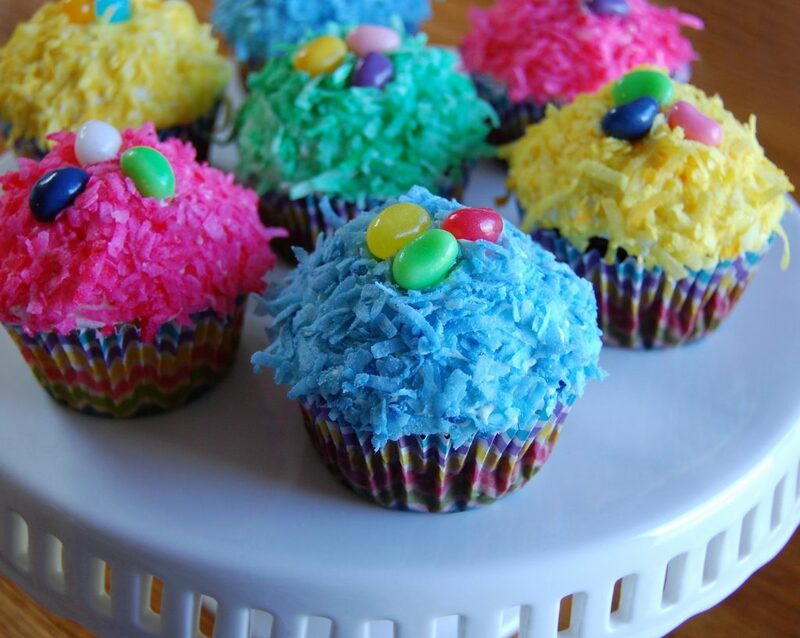 Prepare cupcakes per cake mix instructions, adding 1 teaspoon almond extract to the batter. Fill cupcakes cups with batter. Bake according to cake mix directions. Let cool completely before frosting. In a Ziploc bag, add coconut and 2 drops green food color, close bag and mush coloring into coconut until distributed evenly throughout. Pour coconut grass into flat bowl for dipping. 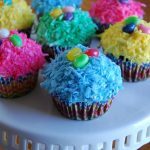 After cupcakes have cooled, frost them; dip frosted tops into the coconut grass. Arrange candy eggs on top and place on serving platter.